Aimed at practicing electricians, this course teaches you the fundamentals behind electrical inspection and testing of installations. Ideal for moving on to further courses! This is a fundamental City & Guilds electrical training course for the inspection, testing and initial verification (not certification) of electrical systems. It will give candidates the ability to test newly installed electrical circuits. This course involves both practical and classroom elements and has a two part examination process. This course is ideal for those who want to enhance their skills and can progress from this with the 2391-10 level 3 inspecting course after completing this 2392-10 level 2 course. The City & Guilds Inspection & Testing 2391-10 Level 2 course is for working electricians who want to be able to inspect, test and certify electrical systems. 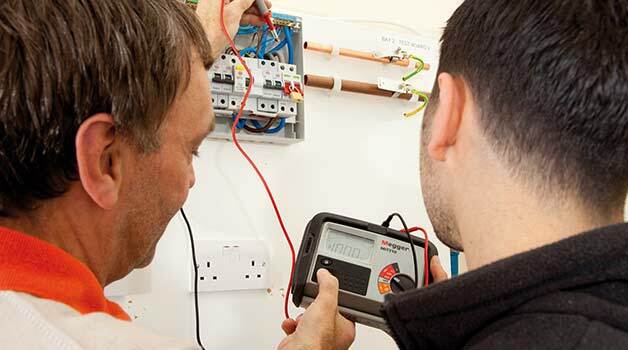 If you want a more basic course in inspection and testing please see the Introduction to Inspection & Testing of Electrical Installations Course.